The largest single-plaintiff asbestos verdict in U.S. history was erased when a Mississippi judge tossed the jury’s decision because of a conflict of interest by the judge who presided in the case. Judge William Coleman vacated the $322 million verdict from May 2011, ruling that Circuit Judge Eddie Bowen should have disclosed that his parents previously were involved in an asbestos related lawsuit against one of the defending companies. A jury from Smith County, Mississippi, awarded Thomas Brown $22 million in actual damages and $300 million in punitive damages. Brown alleged he inhaled asbestos dust when he mixed oil drilling mud manufactured and sold by Chevron Phillips Chemical Co and Union Carbide Corporation. Bowen revealed his parents asbestos litigation history after the verdict, and Union Carbide asked him to vacate the verdict and also to remove himself from the case. When Bowen did not, the company asked the Mississippi Supreme Court to act. The Supreme Court took Bowen off the case in October. Coleman was appointed. 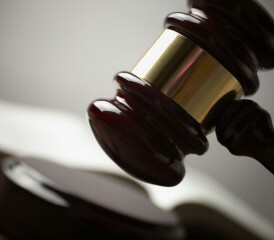 Most asbestos lawsuits are settled and never reach the courtroom. But Union Carbide also vows to fight vigorously any asbestos-related litigation aimed at the company. One of Brown’s attorneys, Eugene Tullos, told the Jackson Clarion-Ledger he had not seen Coleman’s decision and wasn’t comfortable commenting on it until after reading it. Union Carbide said Bowen was an attorney when his parents sued Union Carbide for $1 million, claiming emotional distress related to a diagnosis of asbestosis. Bowen’s father filed two asbestos lawsuits, one of which is pending, the second of which was settled by Union Carbide and other companies. A new trial is scheduled for April. In his claim, Brown says he breathed in asbestos dust while working in the oil fields, and that dust led to a medical diagnosis of asbestosis. He developed the disease at age 30, quite you for someone to develop and asbestos-related disease unless the amount of contact with asbestos is exceedingly consistent and heavy. Brown is on oxygen 24 hours a day, his attorneys said. Asbestosis is caused by scarring of the lungs. The scarring develops when asbestos fibers are breathed in and lodge in the pleural surrounding the lungs. After graduating with an English degree from Southeastern University in 2010, Faith Franz came on board as a health and wellness writer for The Mesothelioma Center.